OmniData Services and Access-IS are delighted to announce the award of a schedule 84 contract by the U.S. General Services Administration (GSA), the procurement arm of the US federal government. 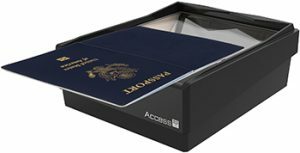 The five-year contract (GS07F004HA), with three additional five-year option periods, streamlines the ability of Federal customers to purchase Access-IS document reading products including the ATOM®, a sophisticated full page passport and ID document reader and the OCR316e, a swipe reader capable of reading MSR and OCR information. Other products included in the GSA contract are the OCR315e, a simple, low cost OCR swipe reader, the OCR601 Mk2, a half page passport reader and the OCR640e, a full page passport and ID card reader.